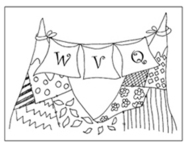 Whistler Valley Quilters' Guild. The Guild meets on the 1st and 3rd Tuesday of each month, September to May. New members and visiting quilters are always welcome. Just e-mail whistlerquiltguild@gmail.com for more information.